Mother’s Day is almost upon us, and to save you doing the last-minute dash to find the perfect beauty present, we’ve scoped out a range of gorgeous gifts mum will love. Whether you are after a new fragrance, a hydrating Winter moisturiser, something for home, a gift to keep her hands soft and hydrated, or something for fabulous volumised hair, look no further (well maybe just a little further) – read on to find out our Top 5 picks for the perfect Mother’s Day gift. As fragrance preference is so subjective, we’ve cheated a little here, and chosen 2 fragrances, so you are sure to find one mum likes. If your mum is a lover of everything pink, if she loves joy and happiness, and if she loves the romantic scent of rose, then she’ll love Lancome La Vie Est Belle En Rose. The fragrance contains the signature La Vie Est Belle background with its iris and woody notes, and makes its own mark via the fresh opening notes of bergamot and red berries (the raspberry scent is just gorgeous), warming down to a floral bouquet of rose and peony accords. Housed in a stunning pink-hued bottle, the fragrance is perfect for any age – the young or the young at heart. Lancome La Vie Est Belle En Rose Eau De Toilette 50ml RRP $120.00. Also available in 100ml. If your mother prefers a bolder, more intense scent, the new YSL Black Opium Eau De Parfum Intense is ideal. 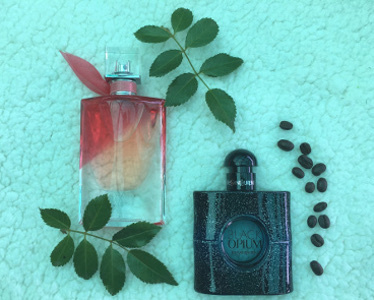 With a fresh blue take on the iconic Black Opium bottle, the fragrance contains the signature scent of black coffee, and introduces the magical notes of blue absinthe, anis, and sweet blue boysenberry, which open the way for jasmine sambac absolute and orange blossom absolute to create an intoxicating, edgy scent. Perfect for Winter evenings at home, or out on the town. YSL Black Opium Eau De Parfum Intense 50ml RRP $165.00. Also available in 30ml and 100ml. 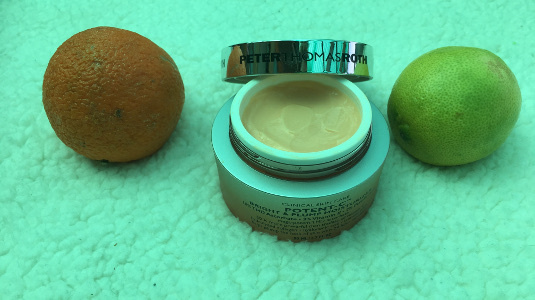 If your mum if a skincare addict, she’ll love the new Peter Thomas Roth Potent-C Moisturizer. Providing a range of benefits mature skin needs, including anti-aging, firming, brightening benefits, the powerful hi-tech formula contains 10% THD Ascorbate (a wonder ingredient 50 times more powerful than traditional Vitamin C), 3% Vitamin E and 2% Ferulic Acid. The moisturiser helps to plump and hydrate skin’s appearance with Hydrolysed Collagen, Hydrolysed Elastin and Hyaluronic Acid (another wonder ingredient which can hold up to 1,000 times its own weight in water). I’ve been using this moisturizer for 8 weeks now, and my skin is wonderfully hydrated, just glowing with energy, and feels so soft and smooth. It’s the perfect moisturiser for mature skin, and any skin in need of hydration over Winter. Peter Thomas Roth Potent-C Bright & Plump Moisturizer 50ml RRP $102.00. Give mum the gift of gorgeous, hydrated hands with the Sukin Hand Wash & Hand Cream Duo, art series collaboration with Arkie The Label. Arkie creates designs that bring contemporary Aboriginal culture to mainstream Australia through fashion which is designed and made in Brisbane, Australia, and has designed the stunning, modern, and collectible label designs for the limited edition Sukin Hand Wash & Hand Cream. The Hand Wash contains a rich blend of Jojoba, Avocado, and Rosehip Oils to help moisturise dehydrated hands, whilst the Hand Cream is formulated with Soy Protein, Aloe Vera, Vitamin E, and Borage Oil to help keep mums hands hydrated, nourished and protected. Both the Hand Wash and Hand Cream feature the soothing Sukin signature scent of Mandarin, Tangerine, Lavender and Vanilla. Sukin x Arkie The Label Hand Wash & Hand Cream 500ml each, RRP $24.95 for the set. At this price, get one for yourself – they won’t last! Mum need never have a bad hair day again with the htz Hot Teaze, a revolutionary styling tool that helps to deliver volume styling, adding teased-like shape, bounce, height and definition to even the finest hair (which happens to most of us as we age). 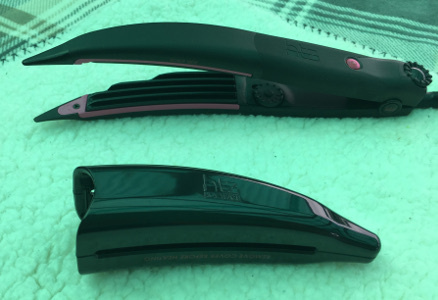 The htz eliminates the need to create volume via backcombing (which can lead to tangles and hair damage), by creating volume at hair roots with its patented curved texturizing plates, which allow you to get close to your roots, and work on all hair types – long or short, whilst the variable temperature control helps to reduce hair damage. As the htz Hot Teaze creates volume at your hair roots, you can avoid your fragile ends so they don’t incur further damage. If mum is looking for volume without the teased look, use the htz Hot Teaze on the underneath layers to create the volume, and leave the top layer straight. It’s the perfect hair volumising tool for young and not so young. htz Hot Teaze RRP $249.00. Show mum your appreciation for everything she does with the gift of a gorgeously scented home. 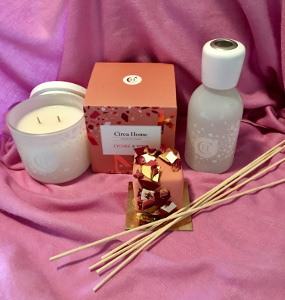 This Mother’s Day, the limited edition Circa Home Lychee & Rose scented candle or fragrance diffuser is the perfect home fragrance for a subtle Summery scent all year round. Delicately scented with notes of sweet Rose, tropical Lychee, and a hint of juicy Strawberry, the Australian Made Scented Soy Candle and Fragrance Diffuser will have her home smelling delicately fresh and clean, and the memories of Mother’s Day will linger long after. And if you’re thinking this sounds like it really should be a dessert, you are correct – you can also buy mum a (very) limited edition KOI Dessert Bar Lychee & Rose Cake – in KOI stores only between 7-13 May (while stocks last). Lychee & Rose Classic Candle 260g RRP $32.95, Lychee & Rose Fragrance Diffuser 250ml RRP $42.95, and KOI Dessert Bar Lychee & Rose Cake RRP $15.00. 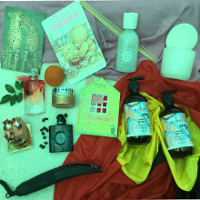 PS, we know this is also more than 1 product – as some mothers prefer candles, and some diffusers, and we’re betting most like dessert, we’re including the whole package so you can choose the best fit for your mother. We hope this has helped make your Mother’s Day gifting a little easier, and maybe saved you some time and money. Have you found the perfect gift yet? Have you started your Mother’s Day shopping? Let us know in the comments below.